Randomly one Saturday afternoon Andrew and I were shopping at The Paris Flea Market (I love that place!) and we decided to have lunch. Fiorito's was sort of across the street. But I wanted to go to 1702. When we got there I remembered that they don't open until 5:00 on Saturdays. We turned around to go back to Fiorito's but Andrew had me call first to make sure they were open. 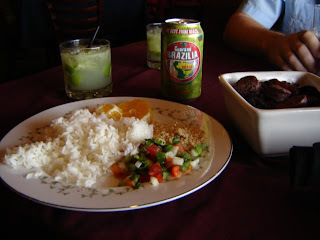 The owner answered and said "Well, our usual menu doesn't start until 3:00, but we're serving feijoada right now." I would've never guessed, since the place looked totally closed. But sure enough, when we walked in the door we were seated by a kindly professor from Latin American Studies and served caipirinhas immediately. My kind of day. Well, whatever the situation may be, I had them put me on the mailing list so I would be prepared for the next feijoada. Now I feel like a special member of the "Secret Feijoada Club". My stomach is thankful for that! Sounds pretty tasty. 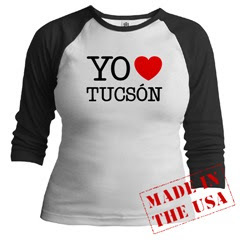 Just happened across your blog while looking for info about the Pima County Fair. Your post from last year was pretty funny reading. They do Brazilian food once a month, so next time, let's get a group together. My friend Katia, from Brazil, and her boyfriend always go to this once a month event.